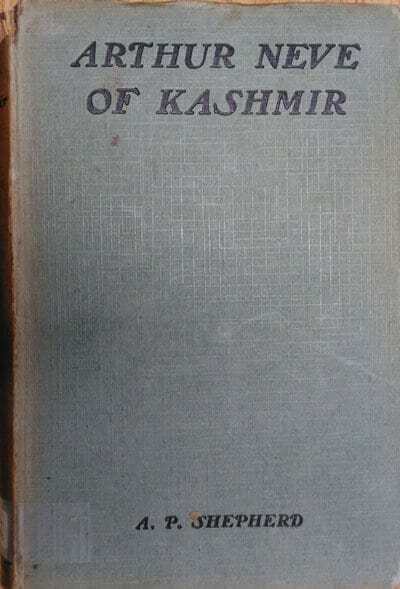 The case of Kashmir illustrates well one of the problems one faces when in dividing the world according to modern national borders when studying the history of mission. Both boundaries and country names have changed over time, so it is often difficult to decide in which country to place some titles. Both India and Pakistan both appear in the top 4 countries requested in my Facebook Group Poll, so I hope that this account of Arthur Neve’s life as a medical missionary proves of interest. A.P. Shepherd, Arthur Neve of Kashmir. London: Church Missionary Society, 1926. Hbk. pp.136. Click to download in PDF. This title is reproduced by kind permission of the Church Missionary Society. It is written of an officer in the army of King Charles I that “he served his king with difficult, dangerous, and ‘expensive loyalty.” These words aptly describe Arthur Neve of Kashmir and the service which he gave so unsparingly for thirty-eight years in Kashmir and beyond. Endowed with gifts which would have won him fame and distinction at home, he yet chose to devote his life to the service of God and humanity in one of the world’s backwaters. No attempt has been made in these pages to give a complete and detailed account of Dr. Neve’s career; but it has seemed well to present in broad outline some pictures of the man at his work in order to show to the men and women of to-day the life of a medical missionary. 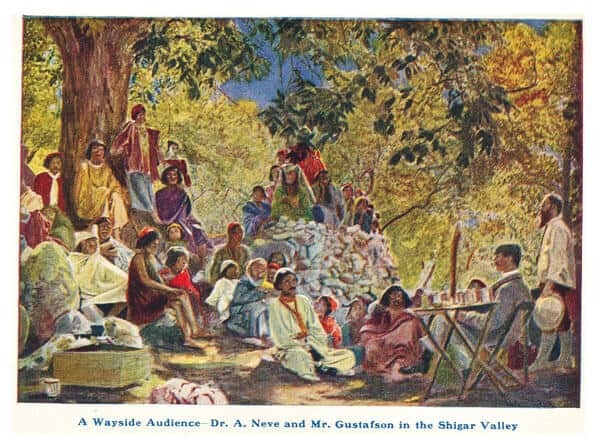 Dr. Neve’s desire was “to make it easier for those who come after.” The hospital at Srinagar, where his brother still works, and the hospitals along the North-West Frontier are waiting with eager longing to welcome physicians and surgeons who will build on foundations that were well laid by the great men who have gone before.